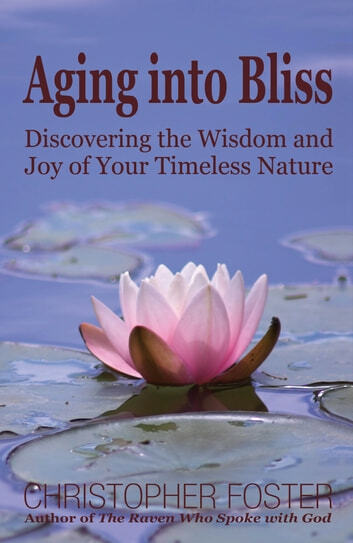 This wise book -- a “rare blend of clarity and heart,” as one reviewer declared -- shows us that despite its challenges, and in fact because of them, aging can be a door to a beautiful new life filled with meaning and joy. It can be an opportunity to connect more deeply with the unconquerable love of being and express that love to the full whatever our age. 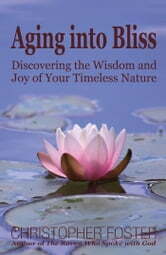 Aging into Bliss consists of 27 meditations based in the author’s personal experience. Christopher Foster, who was born in London in 1932, shares insights and experiences that helped him navigate his childhood in wartime Britain, the sudden loss of his first wife, the collapse of a spiritual community that was his home for 36 years, and two major clinical depressions. Christopher invites us to see the challenges that life brings to us as a catalyst that can help us grow and discover the pristine masterpiece that we truly are – unharmed by turmoil. Realize that your worth does not depend on circumstances. Become more attuned to your inner wisdom. Relieve anxiety of major life changes. Answer the age-old questions: What is my purpose? Who am I? Here are some sample chapter titles from this book on aging: The Secret Bliss of Aging, Are There Surprising Benefits in Challenging Times? Changing Your Attitude Toward Fear, How My Big Challenge Boosted My Confidence, You Can Heal Your Past. Stop Back Pain! Kiss Your Back, Neck and Sciatic Nerve Pain Goodbye! Seven Second Memory. Memory techniques that will change your life. Your Middle Years – Love Them. Live Them. Own Them.